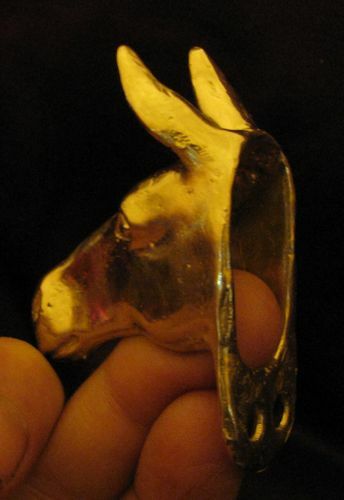 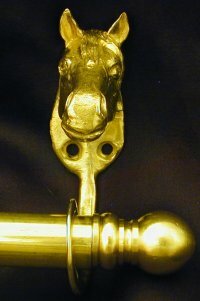 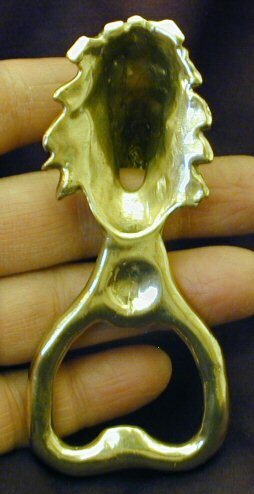 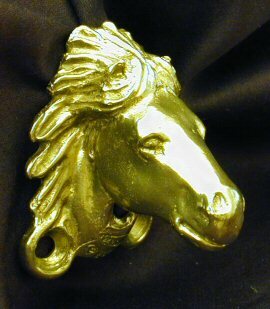 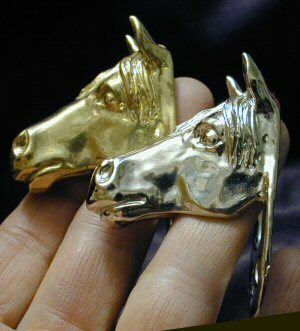 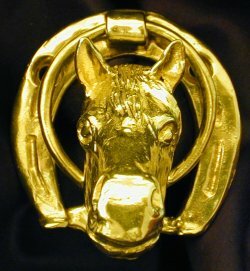 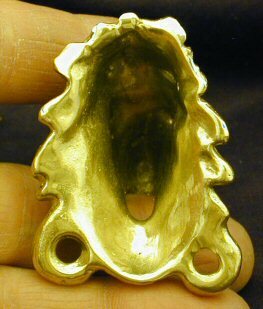 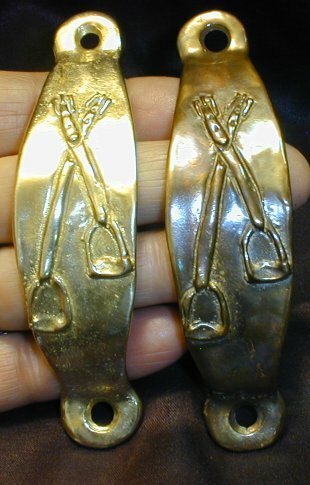 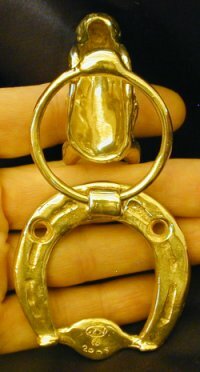 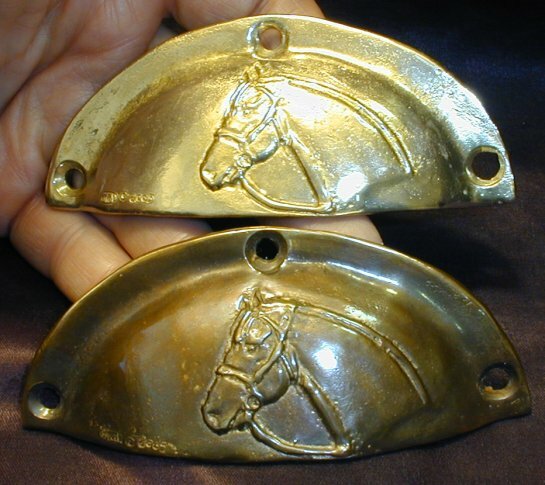 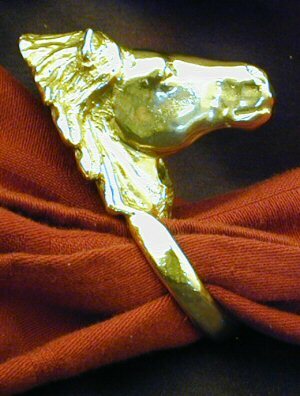 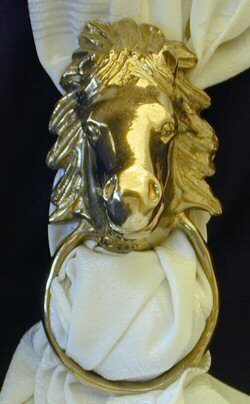 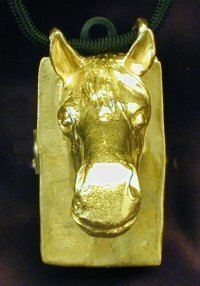 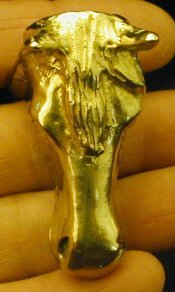 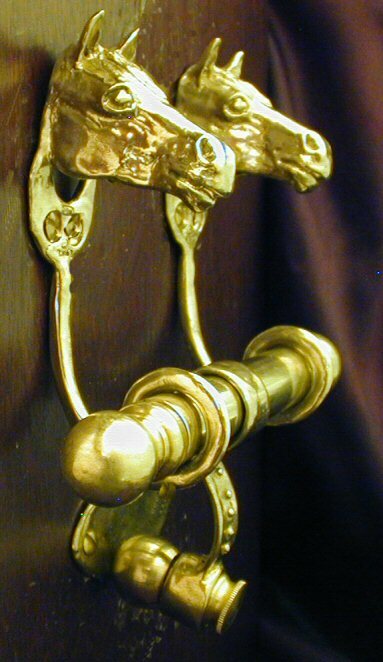 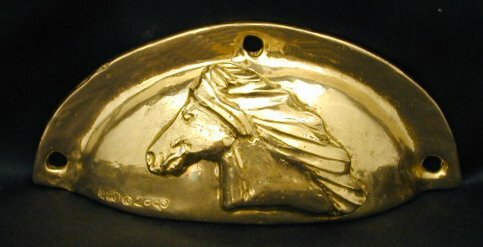 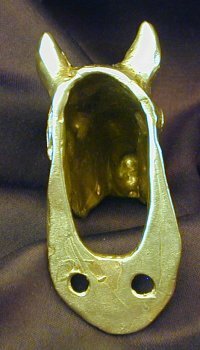 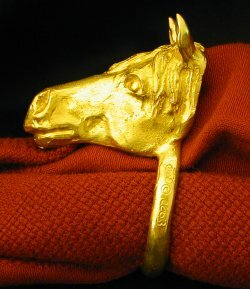 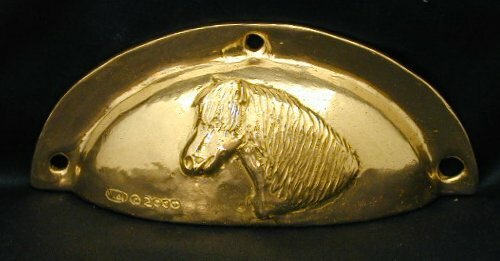 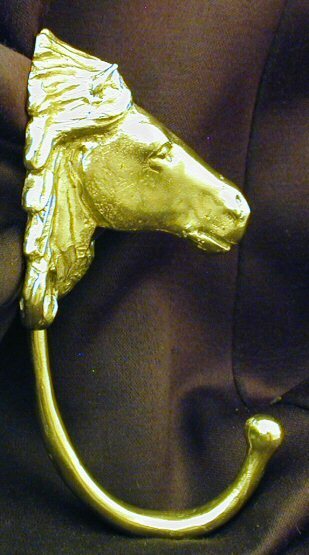 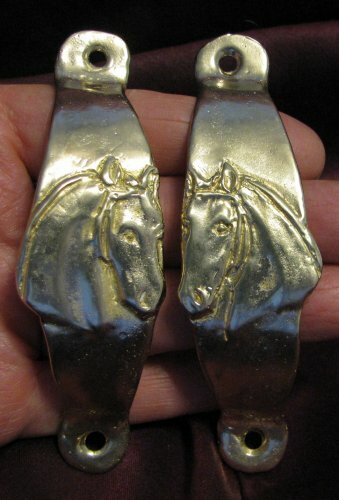 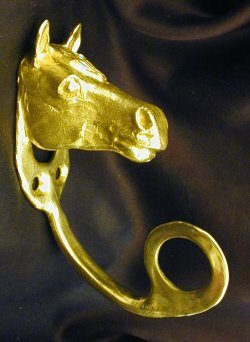 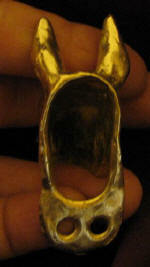 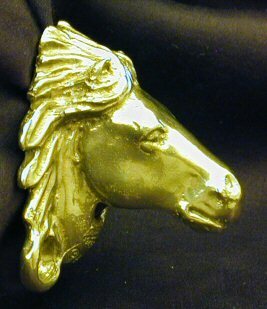 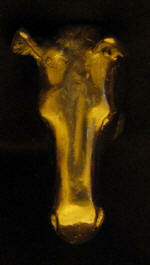 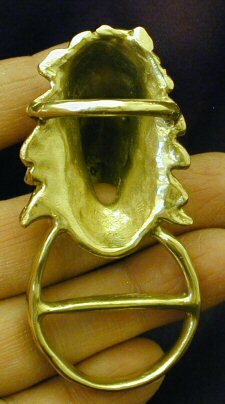 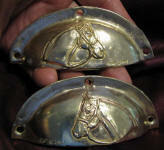 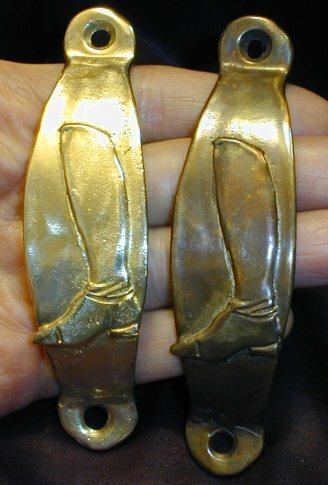 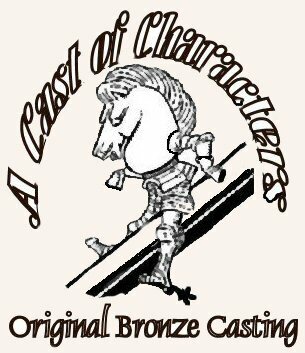 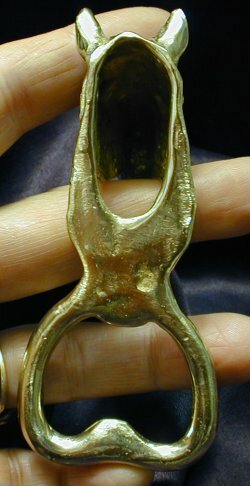 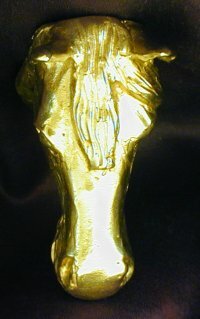 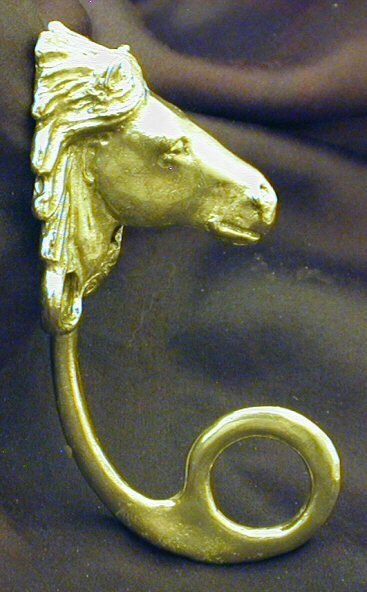 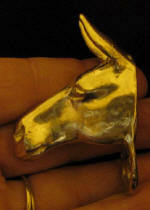 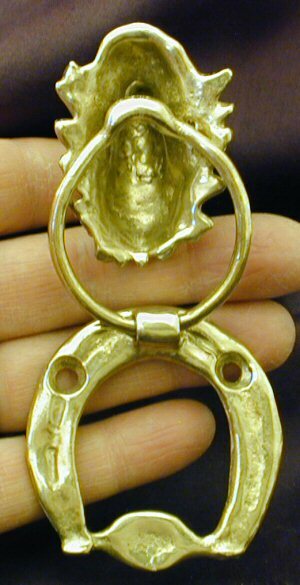 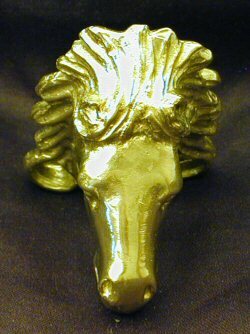 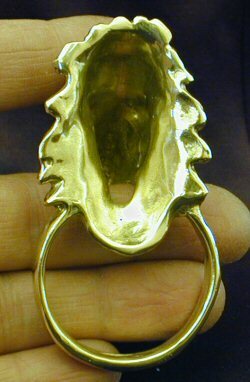 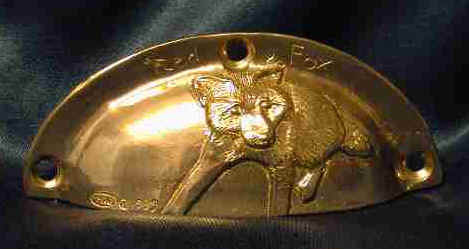 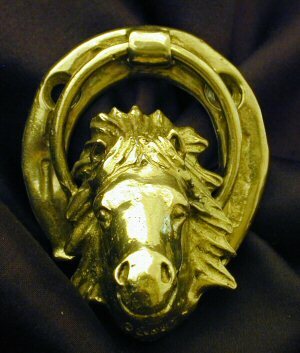 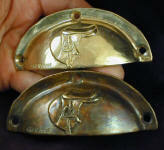 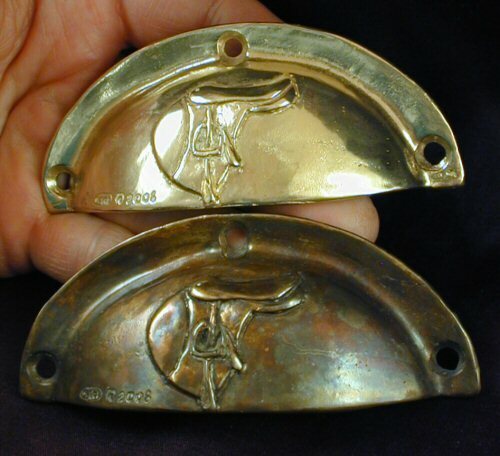 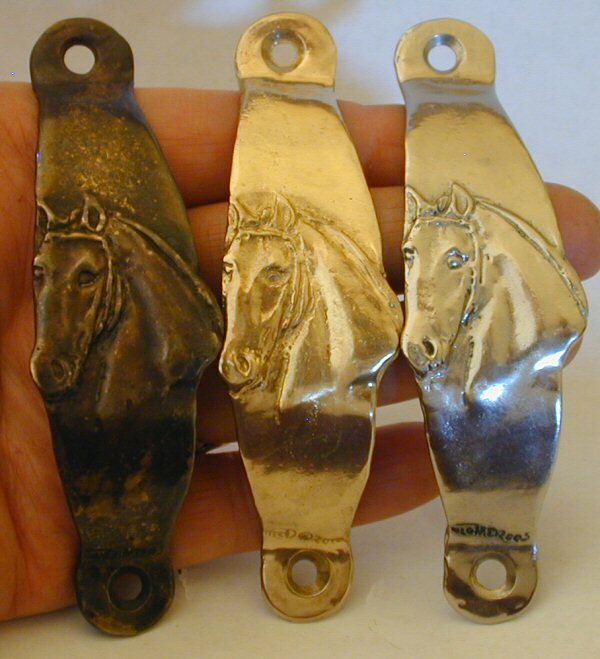 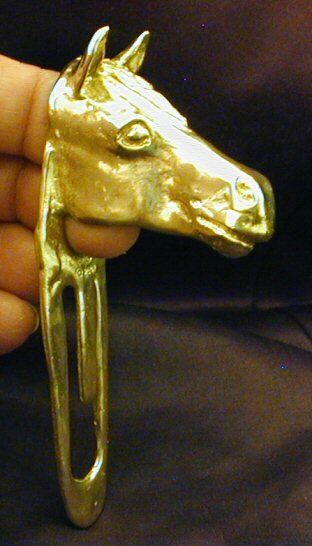 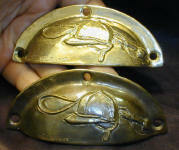 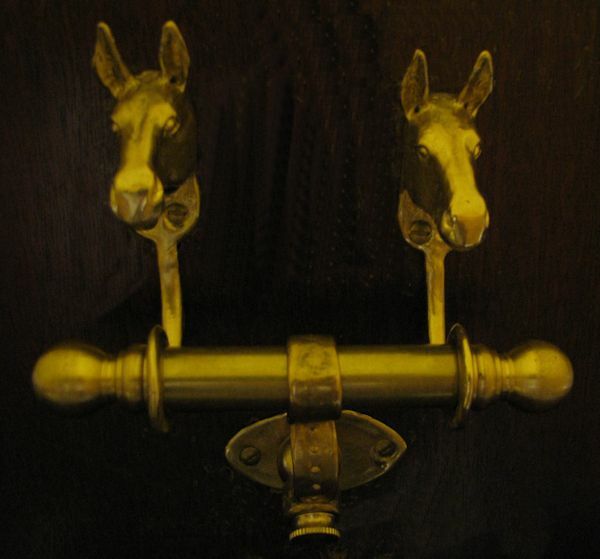 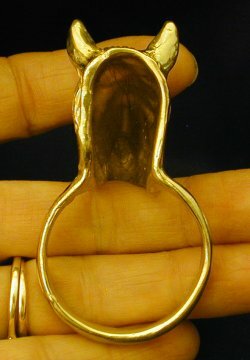 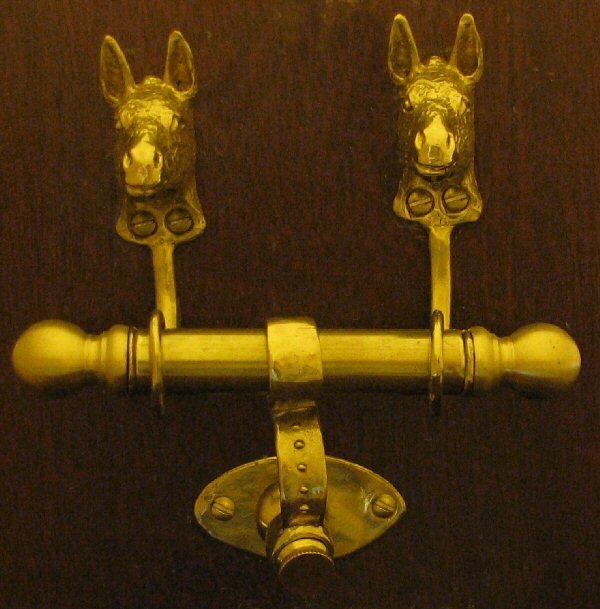 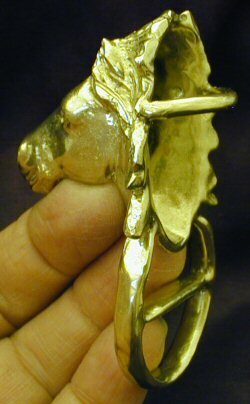 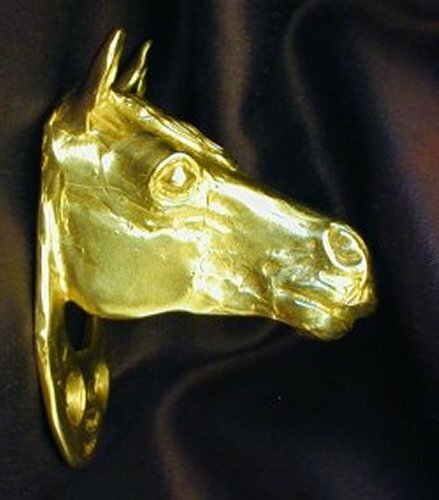 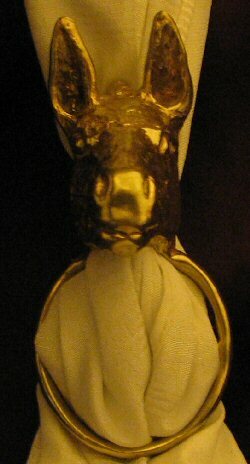 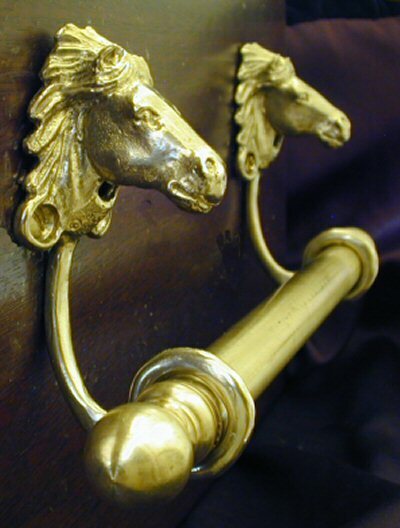 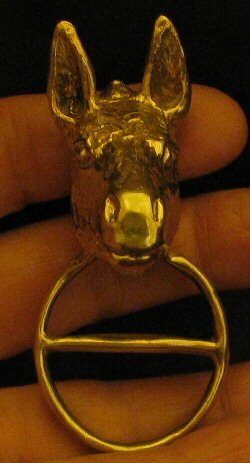 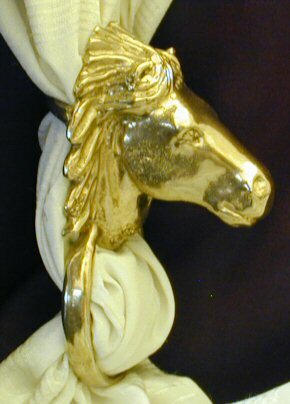 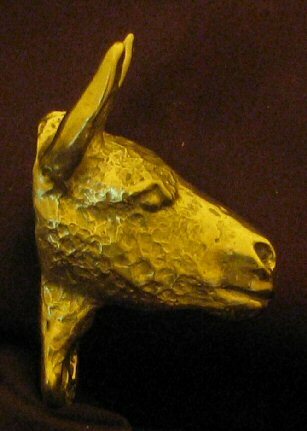 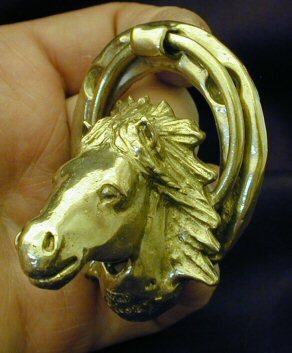 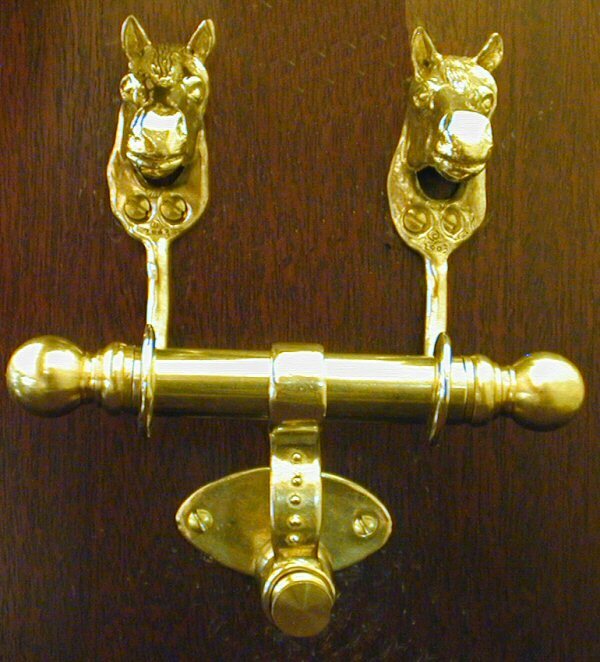 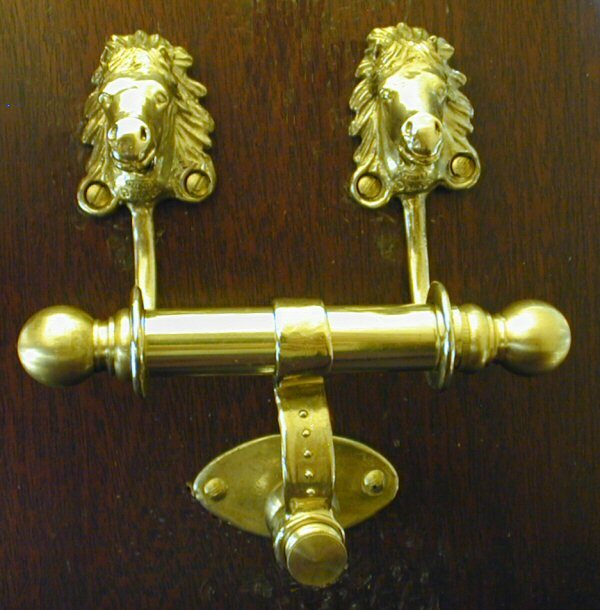 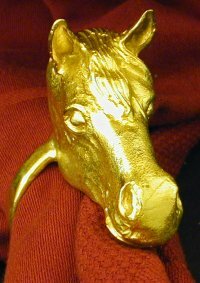 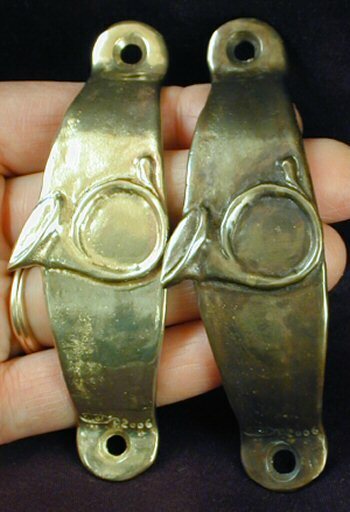 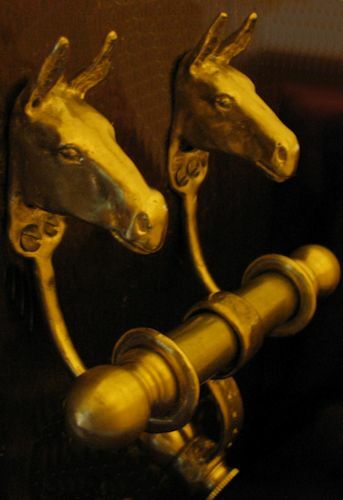 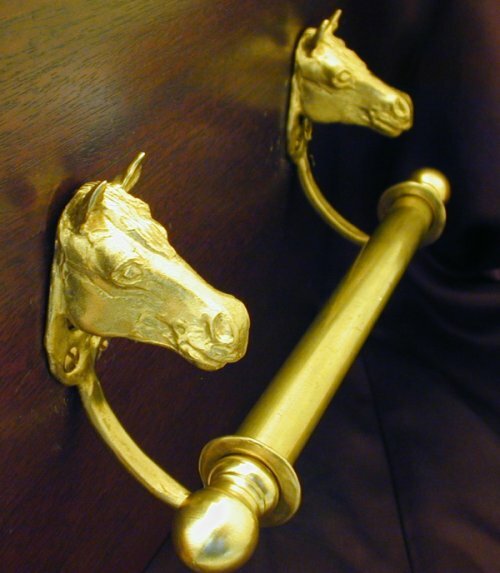 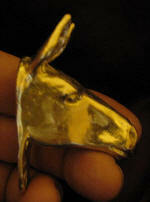 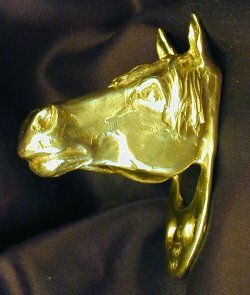 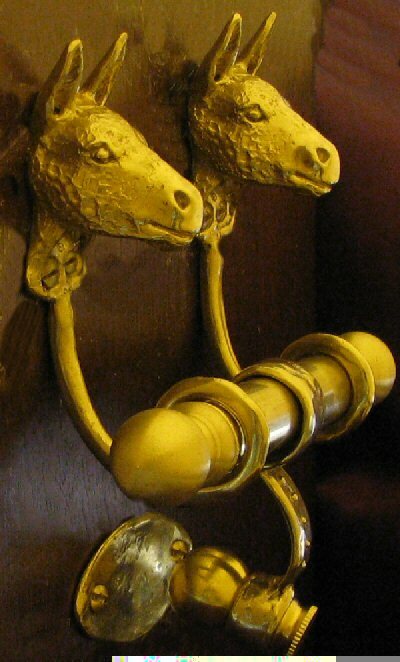 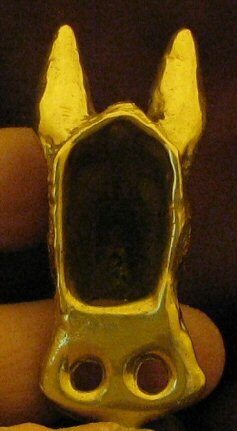 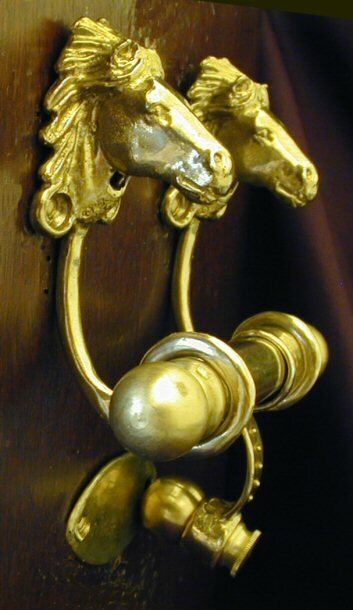 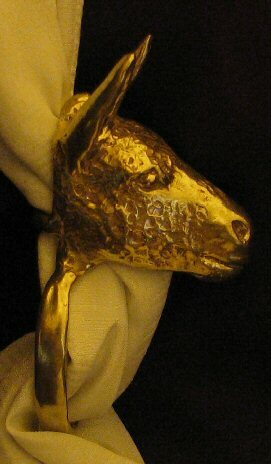 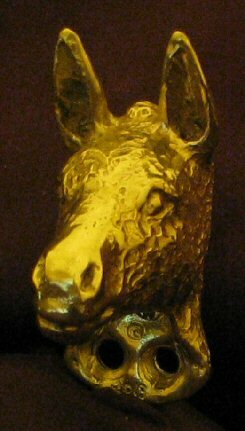 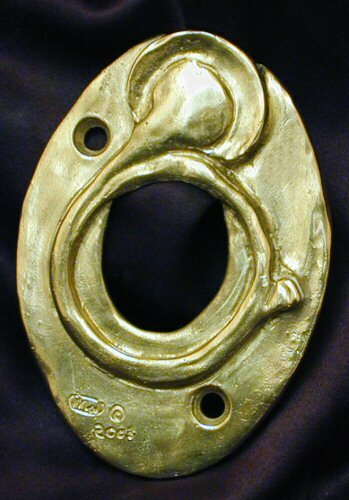 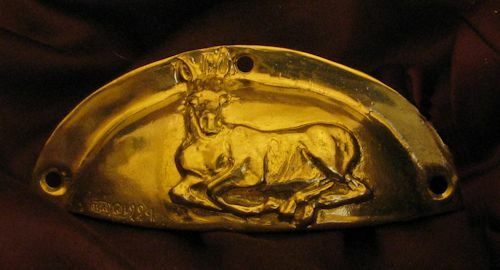 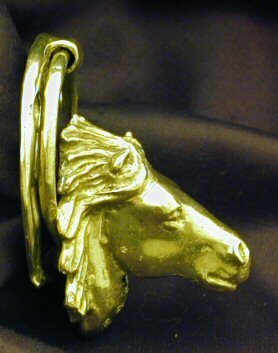 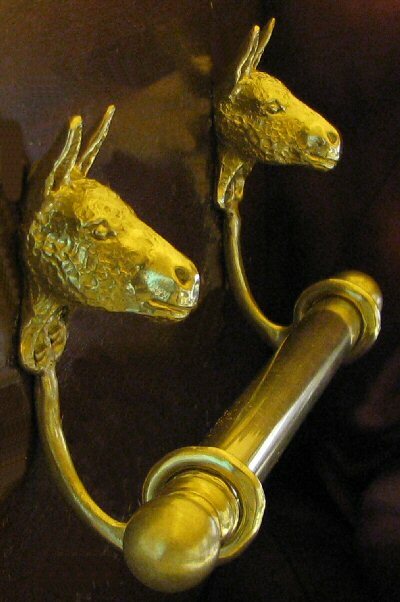 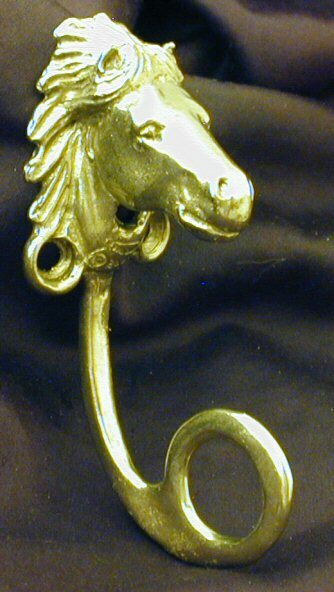 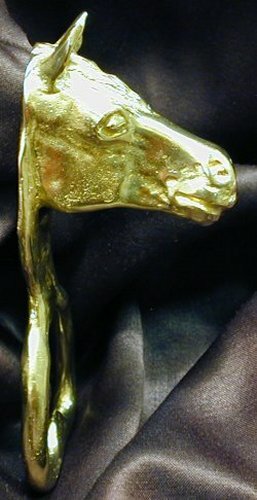 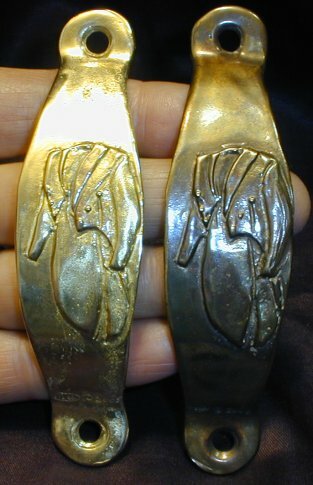 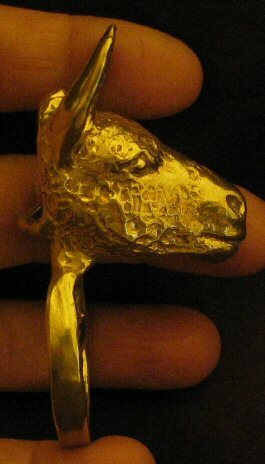 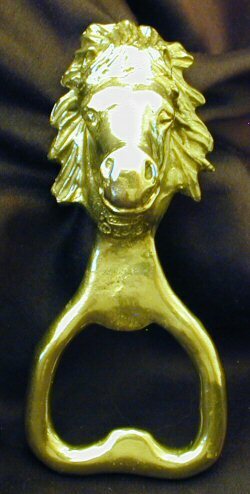 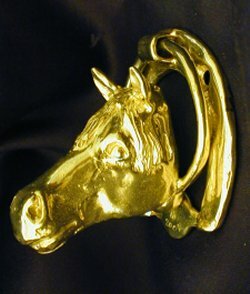 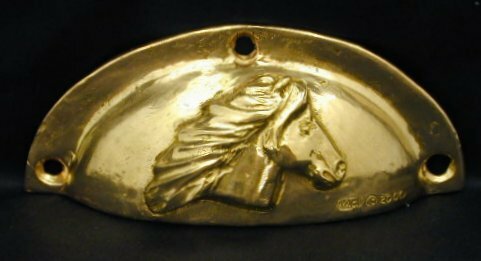 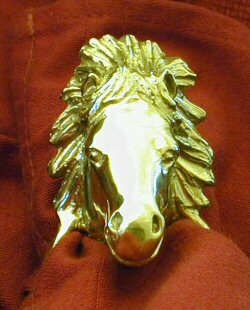 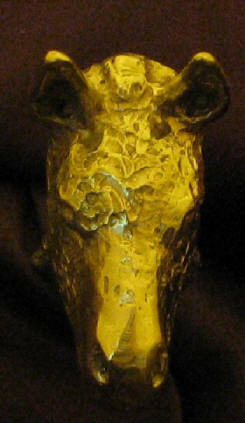 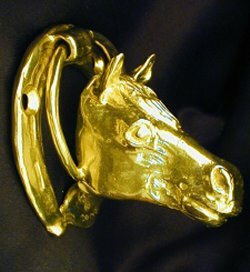 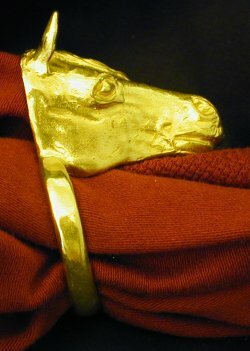 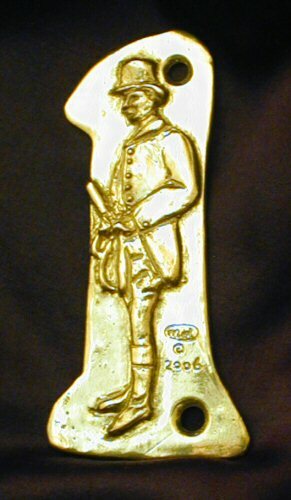 Click on "A Cast of Characters" Button to see how we make the lost wax cast bronze hardware on this site. 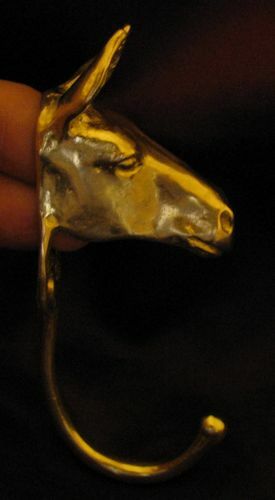 Icelandic Horses have their own page, click here! 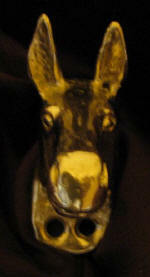 Mules have their own page, click here! 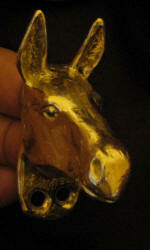 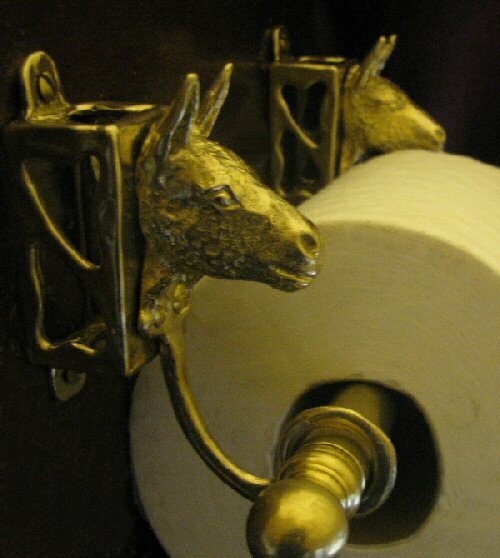 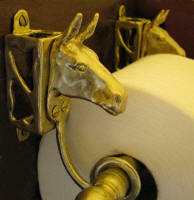 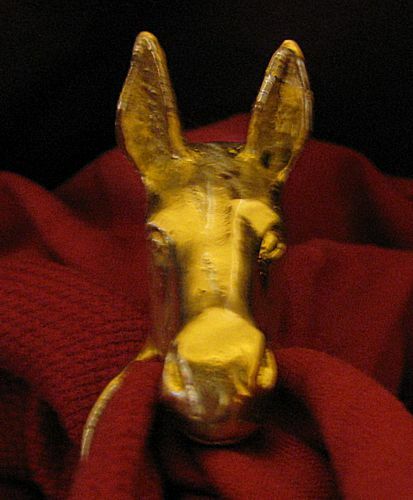 Donkeys have their own page, click here! 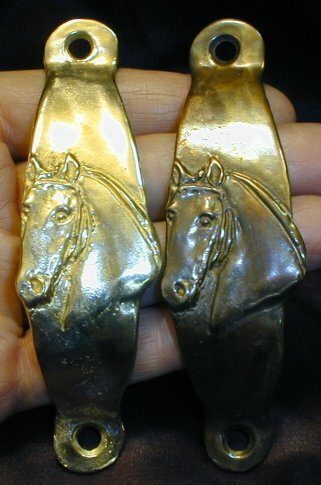 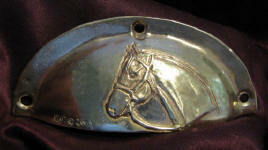 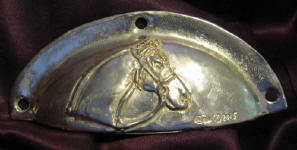 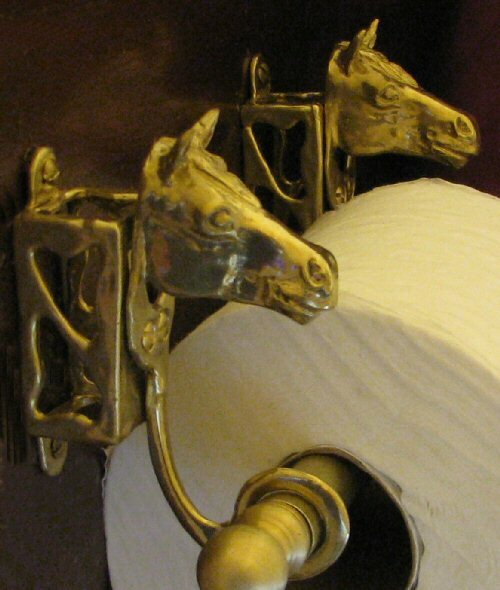 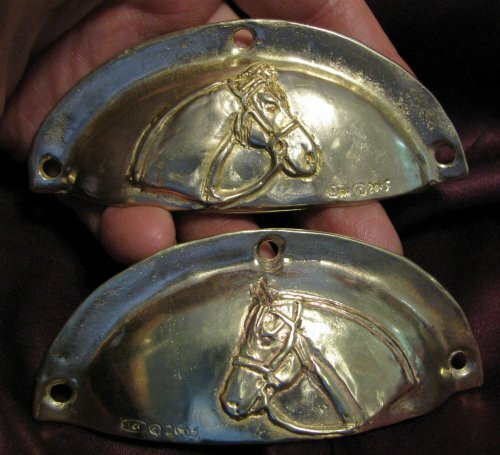 If you want other horse items, please email me, especially if you can help with reference pictures. 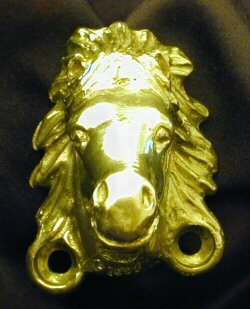 These Horse Heads can be configured for any of the following pieces, even if I don't have pictures of them in this format yet. Scroll down the page to see what I have already done for this one, or Click on any item name in this chart to see examples of that style of piece. 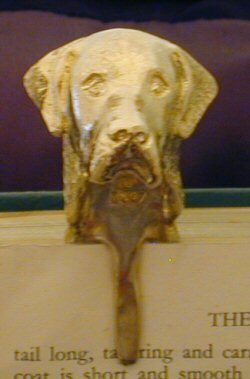 Bookmarks -- Dog or Animal Head with a elongated loop and tab beneath it to fit on either side of a page, near the spine of a book, to mark your place. 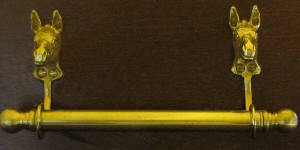 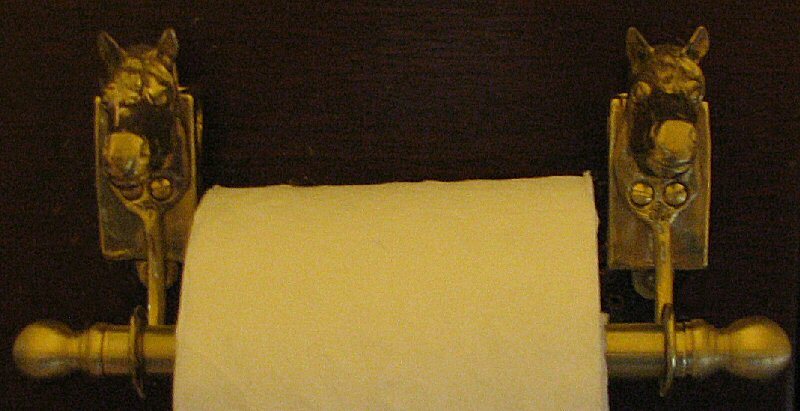 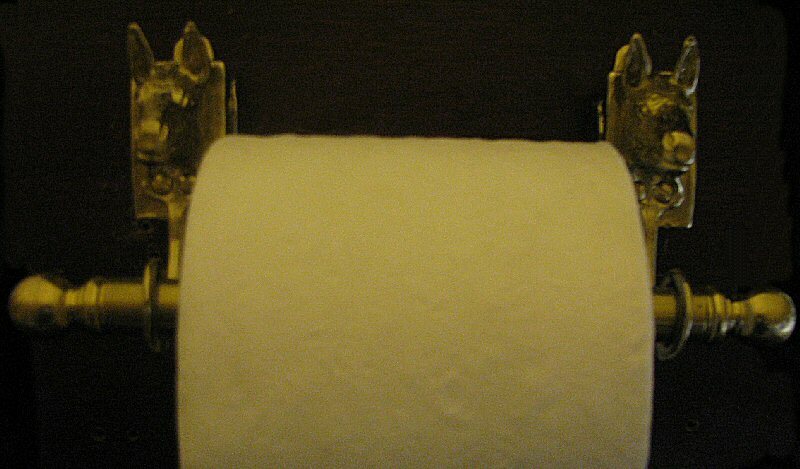 Loop is about 2 1/4" long and 7/8" wide. 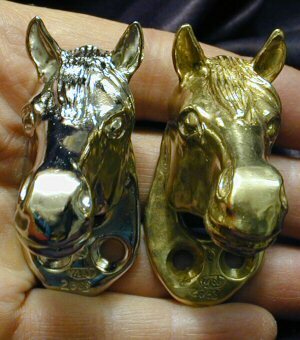 NEW Wall Mounted Bottle Openers -- Dog or Animal Head with sturdy Bottle Opener that mounts to wooden wall or cabinet with provided screws. 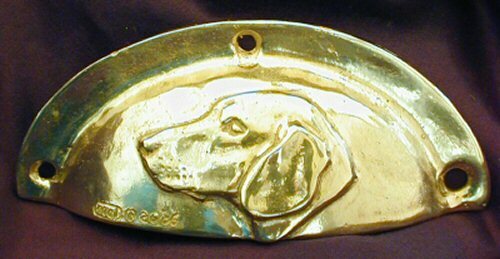 Pet Pendants with OR without Clickers! 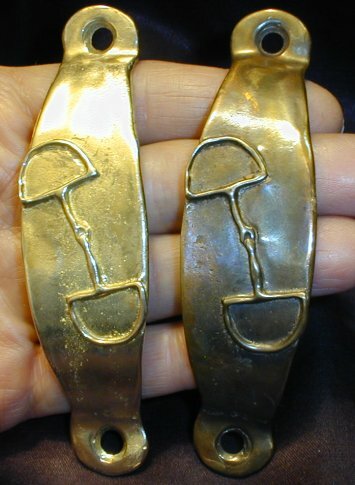 Pendants with clickers on the back! 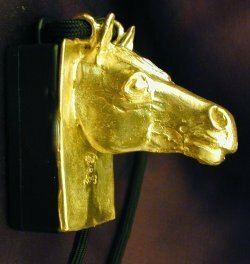 These are bronze pendants, on a black lanyard (34" or 86 cm long, adjustable) The sturdy black plastic and stainless steel clicker ( 2" x 1" x 1 3/16" deep OR 5 cm x 2.5 cm x 1.7 cm deep) is perfectly functional on the back of the pendant, and ideally suited for positive training. 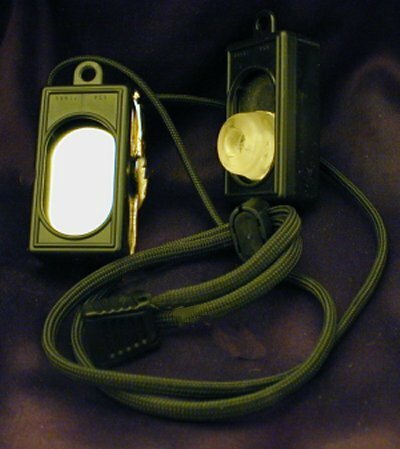 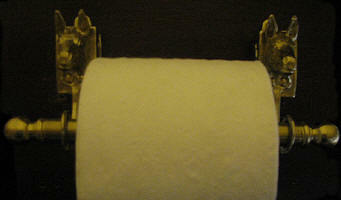 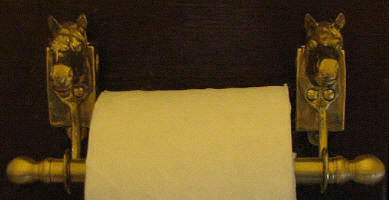 All of the clickers include a "button" on the back, for ease of use, see picture below. 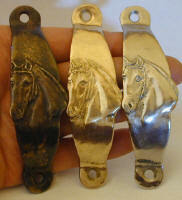 These pendants are beautiful and very functional. I created them because I was always wearing my clicker around my neck in order to "capture" my dog's good behavior with a well timed "CLICK", and I wanted to make it more decorative. 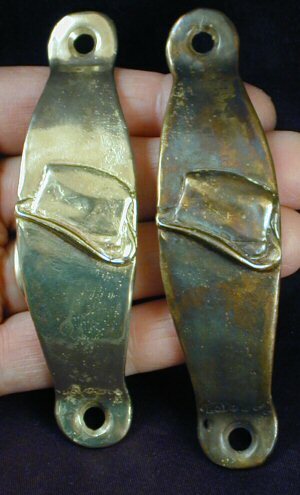 The clickers are black instead of some of the garish colors that you see on other clickers. 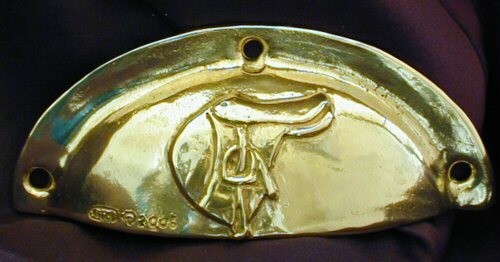 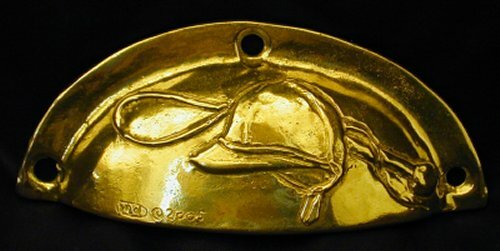 The pendant has two loops on the top, so it will always stay facing forward. 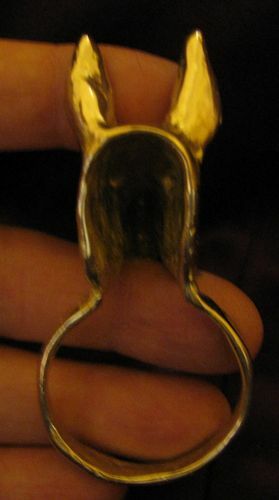 There is a small plastic cord lock on the lanyard so you can easily adjust the length. 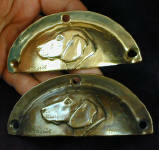 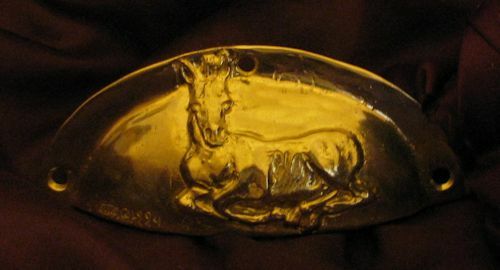 The space below the dog's head on most of these is suitable for engraving. 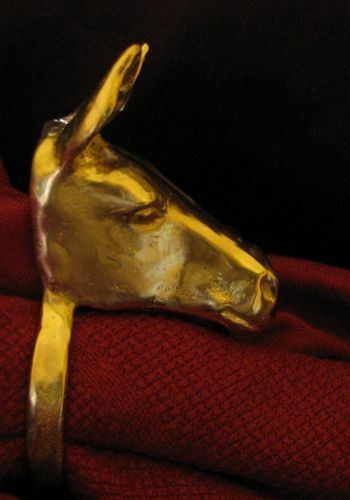 My animal hardware is mostly customer driven, so please let me know in which ones you are interested, or if you want new items with this animal.